Kampala – On Thursday August 8, 2018, Startimes and Ugandan football entered into a marriage that will see the Pay TV giants broadcast Uganda Premier and Big League matches live on their sports channels. The move has been welcomed by a section of fans because of the figures that read $7.24 Million, the biggest sum that has ever exchanged hands in Ugandan sport history. Key among them is that the football gets exposed and in Uganda’s case, much needed exposure to the outside world, particularly Africa where Startimes is based. The fact that Startimes reaches over 38 nations across Africa and six on the Asian continent is great for a league that is barely famous in the confines of East Africa. At kick off in a few weeks, clubs and players will have a chance to raise their value once their games are viewed elsewhere. This will go a long way in individual players being able to position themselves to attract suitors from other wealthier countries hence an increase in revenue for all parties involved. The other advantage that comes with televised football is that it always attracts investment in terms of sponsors, something that Uganda clubs have lacked for eternity. This means that even the smaller sides will at least have someone to bring in the money in the long run apart from the owners, a very big plus for every stakeholder in the beautiful game. But looking back at the money involved, $7.24 Million is a whopping figure when you consider the economy of the country and the recent deals in football and Ugandan Sport in general but it’s laughable viewing the trend the game is taking globally. With each passing day, the value of the game increases everywhere it is played and that is my biggest concern about Startimes deal. It is very rare to find a nation selling its league rights for a decade in one deal unless they are so troubled like in Ghana recently where the same company bought the local league and several other competitions at $17.95 Million for 10 years. However, there was was also a clause that required them (Startimes) to provide 10 artificial pitches and a fully equipped modern OB van to the Ghana Football Association (GFA) over the length of the contract. This is not the case in Uganda. In 2016 when Startimes arrived in Ghana, their leagues and football in general were marred by corruption allegations which were unearthed just over a month ago. The best example for a good deal would be the one between the LMC Nigeria League and Supersport that was struck in 2015 for a reported $34 million commencing from 2015 till 2019. That is only four seasons for a league that ranks 64th in the world according to International Federation of football history and statistics. Yes they (Nigeria) are still ahead of us but I am not sure they are miles away as they have also faced the same old problems that we have faced recently and sure we are starting to overcome with each passing day. What makes Startimes deal even more reprehensible is the fact that the sum (7.24) stretches over a period of 10 years. A simple break down of the money means that annually, around $700,000 we be given out to football (UPL and Big League). It’s a small figure that looks like a good harvest at the moment. When asked about how the sum will be broken down on Thursday, Fufa President Eng. Moses Magogo was quick to let those in attendance know that they (Fufa) and the other stake holders are yet to sit down to break it down. We all know that the top tier will take the biggest share as the rest goes to the Big League. Let’s take an example, if its $500,000 that UPL takes, does anyone think it will look staggering three or five years from now? Your guess is as good as mine. We have definitely improved from Azam’s Shs 5.4 Billion that stretched over a period of three and a half years from 2015. However, five years from now, will this still feel like this was the best move for Ugandan football or that we were ripped off? 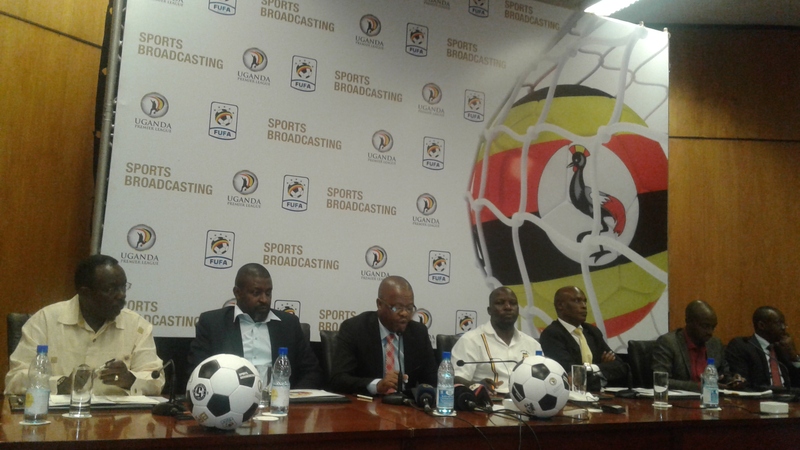 The only understandable reason as to why Fufa and Moses Magogo sold Ugandan football at such a sum is because they were desperate to find a sponsor (TV sponsor) to take over after Azam offered not to extend its deal. The other issue is the so called Sports Broadcasting (SB) Limited, whoever they are! In January this year, Fufa invited journalists at Serena Hotel to witness a $3 Billion hand over of Uganda Premier and Big League plus the Uganda Cup rights, to a company that did not physically exist and one whose Managing Director is a certain Denis Mbidde, a former Fufa Vice President. All that did not sink in at first until i personally tried to find out where Sports Broadcasting was/is found and its recent or past ventures into sports both locally and globally. My efforts were fruitless as I could neither find them anywhere nor get a glimpse of their history in Sport. With all that said, Fufa and Magogo were desperate to sell the league rights to anyone willing to acquire them at any cost as i am confident they all knew the supposed SB company was not going to deliver that is if it even exists. 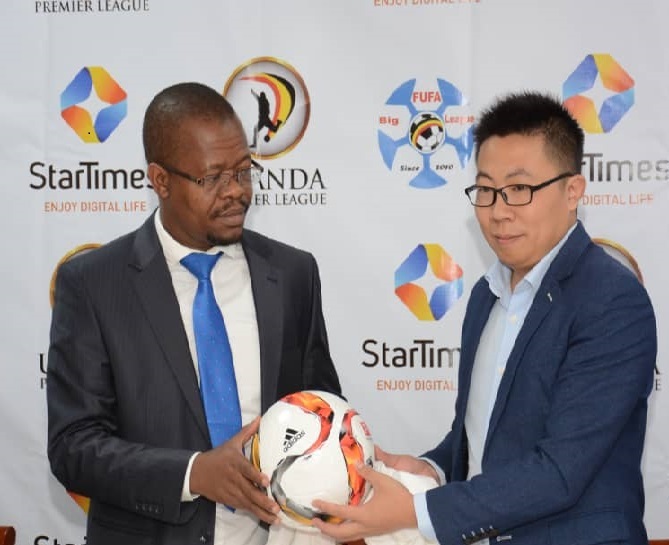 Startimes and Ugandan football signed a seemingly good deal for now but one we may regret a few years from now.